Helen Maxine Lamond Reddy was born in Melbourne in 1941 to show biz parents. Her mother was actress and singer Stella Lamond and her father, writer-actor-comedian Max Reddy. Her older step sister, actress-singer Toni (Lollie Legs) Lamond almost brought her up as her parents were too busy performing. She had her first curtain call, aged four (Tivoli Theatre in Perth WA) and over the ensuing years learned “the craft“ performing live, acting, dancing and singing. Little Helen Reddy worked her way through local radio and television before she won a talent contest of Bandstand which enabled her to move to the United States in 1966. She moved around at first until she was signed by Capitol Records in 1970. Her first U.S. hit (1971) was a cover version of Andrew Lloyd Webber’s "I Don't Know How To Love Him" (from Jesus Christ Superstar). But it was her next single which was to establish Helen as an international star and forever connect her to the song, which she co-wrote with another Australian, Ray Burton. The lyrics were written to reflect the positive self-image Helen gained from joining the women's movement. "I am strong, I am invincible," which were ideal for '70's women redefining their role in the evolving political and social climates of that decade. Interestingly at first, the single flopped and “I hate the song, but my wife makes me play it” became many DJs’ favorite disclaimer as they reluctantly spun the vinyl. When, heavily pregnant the singer hit the promotion trail and made 19 TV appearances singing the anthem the women of America voiced their approval and, the song was adopted by the women’s movement. "I Am Woman" earned a Grammy Award for Female Pop Vocal Performance and at the awards ceremony Helen make history by concluding in her acceptance speech by famously thanking God "because She makes everything possible". 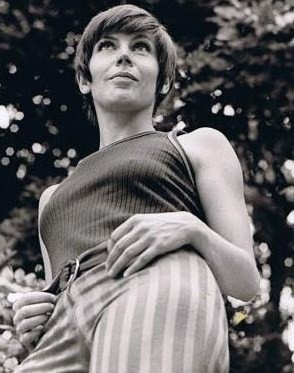 Helen Reddy had arrived as was an international success. "I Am Woman" more recently was transformed into a jingle for a well known sport shoe franchise, indicating how important the female market is and the acknowledgement women are strong and are invincible. Country singer Tanya Tucker had a country hit with Delta Dawn and the song attracted Barbra Streisand’s producer Tom Catala but when the diva refused to sing it. Helen got the chance. The version was also released by Bette Midler but the radio jocks preferred Helen’s version and gave it airplay suffice the single made #1 in the US. More successes followed and when Cher turned down written by Alan O’Day called “Angie Baby,” Helen was given the opportunity to record it and it became her third U.S. #1 single. The cryptic lyrics of "Angie Baby" became part of its attraction. At the height of her fame in the late 1970s, Helen Reddy was a headliner with a full chorus of backup singers and dancers to standing room only crowds on The Strip in Las Vegas. Reddy's opening act was the then up and coming Joan Rivers. She worked both on stage and the screen, with roles in Airport 1975 and Walt Disney's Pete's Dragon (in which she sang "Candle On The Water,"), as well as numerous television series. Although now retired she did return to her theatrical roots several musical stage productions including Anything Goes, Call Me Madam, and The Mystery of Edwin Drood. She is also known for her appearances on Broadway and in the West End of London in the musicals Blood Brothers and Shirley Valentine. In 1974 Helen became a naturalized citizen of the United States but never forgot her Australian origins. Her work kept her Stateside, but she has made many trips Down Under to perform. In 1973 she was supported by Ross Ryan and two years later Peter Allen was her support on her tour of Japan, Hong Kong and Australia. In 2000, now resident in Norfolk Island, she came to Sydney to headline the Gay and Lesbian Mardi Gras concert 'Celebration of the Female Voice'. At the height of her fame she encouraged a young Olivia Newton-Joan to the US and Olivia’s film breakthrough came when she was offered the female lead in Grease (1978), after a chance meeting with producer Allan Carr at a party at Helen Reddy's house in Los Angeles. Helen was one of the most successful female recording artists of the Seventies and had three U.S. #1 singles. She sold more than 15 million albums and 10 million singles, and was the first Australian-born performer to win a Grammy award. Apart from the phenomenal success Helen is most proud of a tulip named for her in Holland and she grows the reddish-violet bulbs in her garden in Norfolk Island.